This 16" square cake is made for our local church Sunday school. 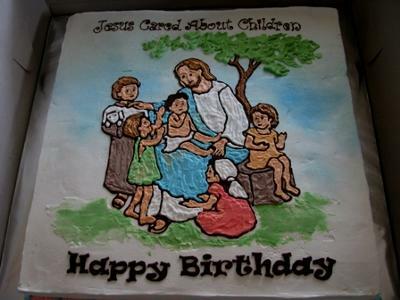 I got the design from the children bible and transfer to the cake using the chocolate transfer method. The children loved itvery much.